UFC Fight Night 85 takes place Sunday, March 20th (Saturday the 19th in the U. S.) at the Brisbane Entertainment Center in Brisbane, Australia and the main event features a heavyweight fight between Mark Hunt and Frank Mir. Day 2 of the 2016 Pan is in the books and Gracie Barra remains in 1st for the adult male team results followed by Brasa CTA and GF Team. The ladies adult has Alliance in 1st followed by Gracie Barra and GF Team. The Pan 2016 takes place this March 16-20, at the Bren Events Center located at the pyramid on Cal State Long Beach Campus. 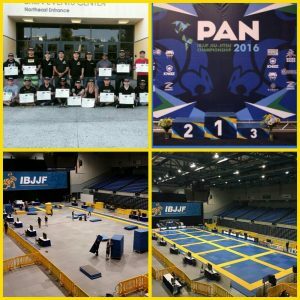 The IBJJF has recently released the pre-schedule for the event.